February’s “Restaurant Rumble” pits the glamor of The Commodore against the casual vibe of Ramen Kazama. Find out who Jason and Joy will choose. Jason: College Jason couldn’t imagine waiting in line for ramen. I waited in the rain. And the cold. I don’t think I’d bring my in-laws here. Joy: The Joy of Now hates lines, but when I went on a Tuesday, we got right in. It’s cozy in there, though. Not a family-friendly, group dining sort of joint. Jason: And the people are lined up mostly for very good reason. Joy: Broth-filled clay pots are perfect for wrapping frozen fingers around. Jason: This isn’t the 5 for $1 stuff I was eating in college days. 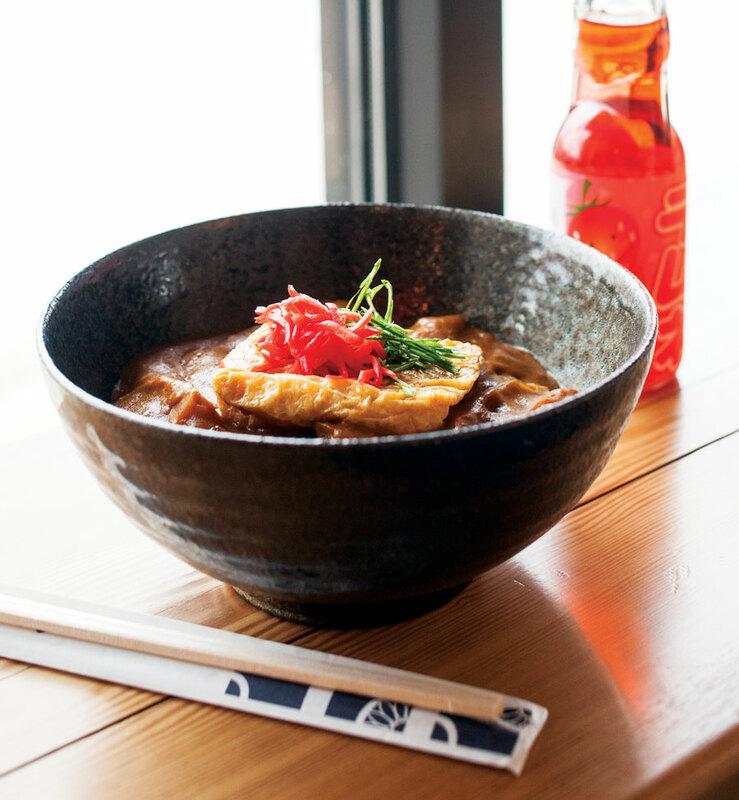 Ramen Kazama is cut from the same noodle as the super-trendy New York City shops like Ippudo. Joy: The Kazama is for Chef Matthew Kazama, and it’s not just ramen going on in here, although the broth, labored over for days, is the star of the show. They also serve small bites like chicken karaage: super juicy thighs dredged in cornstarch and fried. 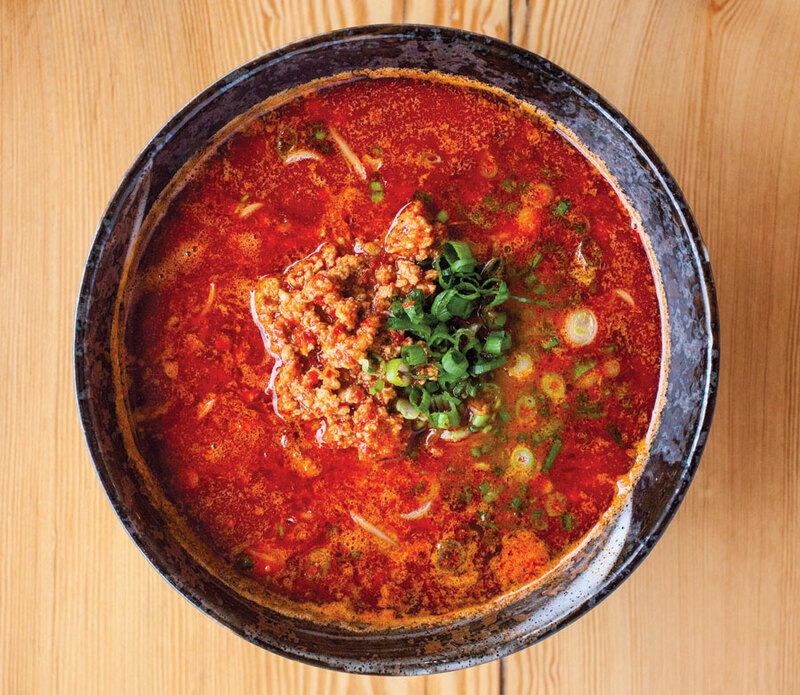 Jason: My favorite was the magma: a spicy miso broth with red chili pepper and Toban Djan, a chili bean sauce. Joy: I thought that was a bit of a single note. It was mostly just mild heat in my mouth. Meanwhile, the beautiful subtlety of the aromatics in the tonkotsu beguiled our entire table. Jason: Beguiled! Did it spellbind as well? Joy: It was downright gossamer. My only quibble was that I wish the noodles boasted a bit more gusto; ours were all a bit limp. Jason: Agreed on the noodles. 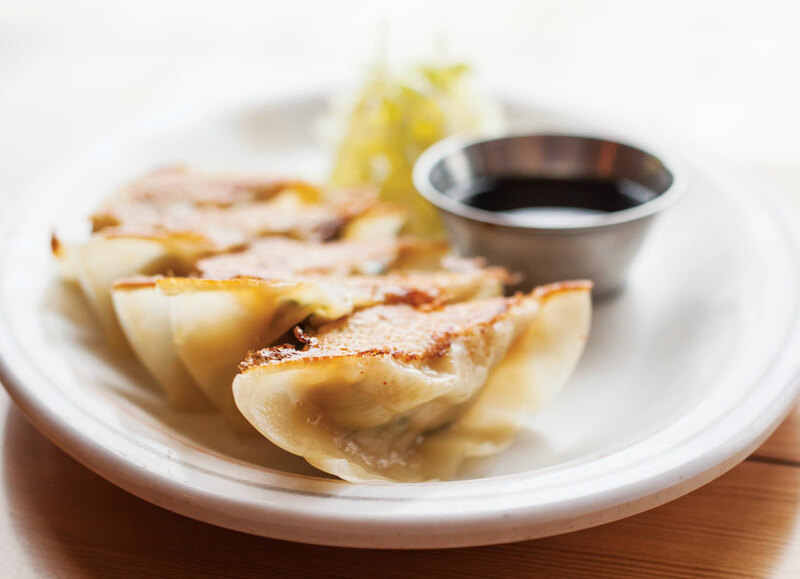 The gyozas were cool: pork pot stickers—you could see they were made by hand—and you could taste the freshness of the dumpling. Joy: Those were divine. My surprise hit was a veggie curry rice bowl. It was a burly bear hug in a bowl. Jason: I enjoyed that too. Skip the chahan fried rice —bland and boring. The fried chicken was our sleeper hit, a steal for $6.50. 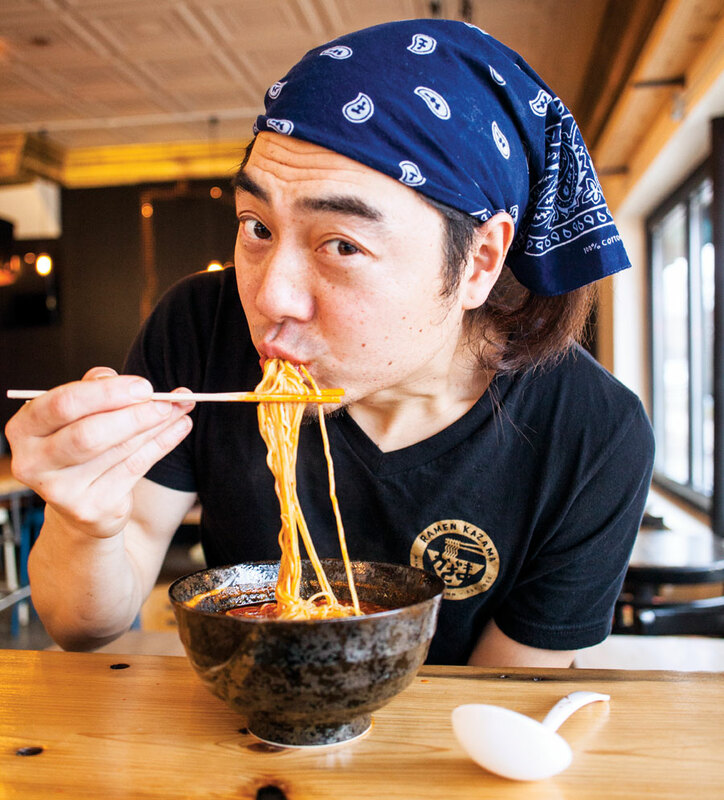 Ramen Kazama is the winner of this month’s Restaurant Rumble!